Innovative Interior Designs: How do they do it? I saw this article and thought to myself "How do they do it?" 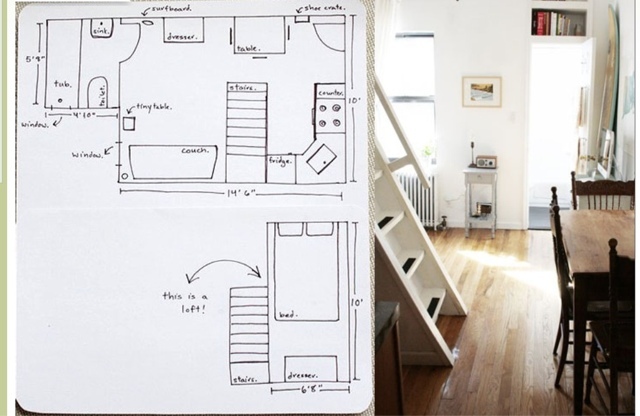 This couple lives in a space that has 240 sq. ft and they say they are comfortable! HOW IS THIS POSSIBLE? Please take a moment and check out this page and at least check out the pictures and layout of the property and let us know if you could be "comfortable" in this house. I know Bo wouldn't last a weekend in this kind of environment!